If you’re looking for the best training service provider for CPR and AED in Saskatoon, look no further! Saskatoon First Aid is the leading provider of first aid, CPR and AED training courses within Saskatchewan. Prospective trainees looking for courses on basic first aid, CPR, and AED can enrol in Saskatoon First Aid’s numerous courses. Saskatoon First Aid offers three levels of training: CPR Level “A” offers basic CPR and AED training for adult and child victims, CPR Level “C” offers basic CPR and AED training for adult, child, and infant victims and CPR Level “HCP” which offers comprehensive CPR and AED training for health-care providers. 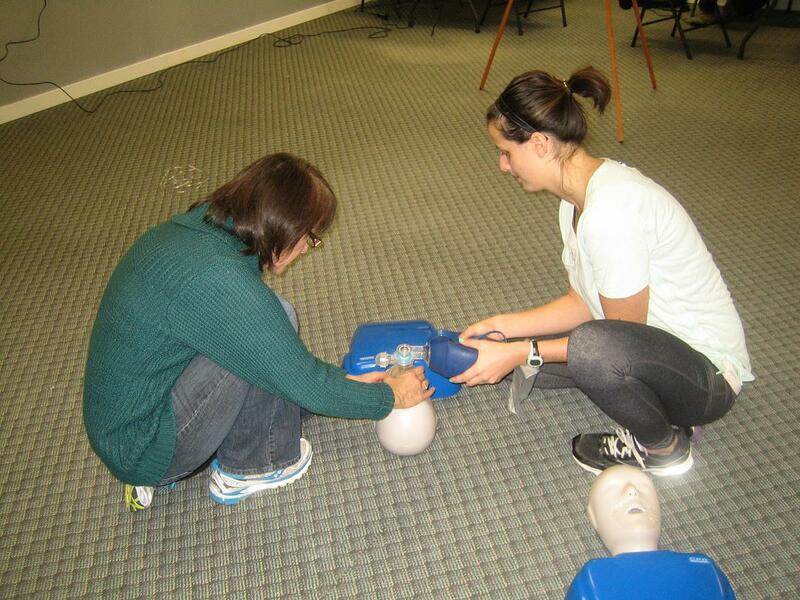 Participants may also enrol in courses that combine first aid, CPR and AED training. The most popular and workplace approved combined course is standard first aid. This course takes approximately 18 hours to complete and can be partnered with any of the three CPR level’s. On-line training classes such as WHMIS, TDG and food safety certification are also available with this training provider. Registration can be completed for any course via a variety of methods including, on-line, email or via telephone. To register for CPR and AED courses in Saskatoon, Saskatchewan use the registration form or contact information provided below. 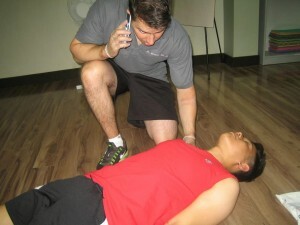 Simulated training – contacting EMS during an emergency situation. For more information or to register for a St Mark James first aid or CPR program in Saskatoon . Enrol now! Standard first aid and CPR training covers numerous emergency situations which require immediate interventions. From a simple fever to an animal bite, basic first aid classes in Saskatoon First Aid will cover it. In this course participants can select either CPR level “A”, “C” or “HCP” to partner with this two day course. This course meets workplace requirements for many individuals in Saskatchewan. Certification is valid for 3 years upon successful completion of the course. All of the first aid courses provided through Saskatoon First Aid include a training manual. First aid courses such as emergency and standard first aid provide candidates with a book with over 200 pages. Basic Life Support (BLS) deals with actions immediately undertaken following sudden cardiac arrest. CPR and AED use are part of the BLS pathway created by the American Heart Association in 2010. In order to become competitive health care providers with up-to-date skills, knowledge of the latest BLS pathway is a must. Trainees who have successfully finished their enrolled training course will receive a three-year St Mark James license for first aid, CPR, and AED. Moreover, trainees who have expiring certification or have certifications close to expiration may also renew their certifications through refresher courses offered by Saskatoon First Aid. The provider is easily the lowest priced first aid, CPR and AED trainer in Saskatoon. All prices are clearly advertised with no hidden fees or additional costs. You will find a substantial range of classes from which to choose. Classes are readily available throughout the week and at varying times. Special classes are also offered to those who prefer a particular schedule or cannot enroll in the regular classes. Saskatoon First Aid’s training courses offer the latest information regarding first aid, CPR, and AED available. There is no doubt you will get up-to-date training from highly qualified trainers. Saskatoon First Aid’s training facilities have high-end equipment and clean and spacious training and classrooms, all easily accessible to prospective trainees. An AED will not shock a victim that will not benefit from the shock. The victim must have symptoms of ventricular fibrillation or tachycardia in order for the AED to trigger a shock. An AED can be used almost anywhere. However, you should avoid using an AED in wet environments. The AED will not effectively stick onto the victims skin if it is wet. Ensure that the area is dry prior to apply. 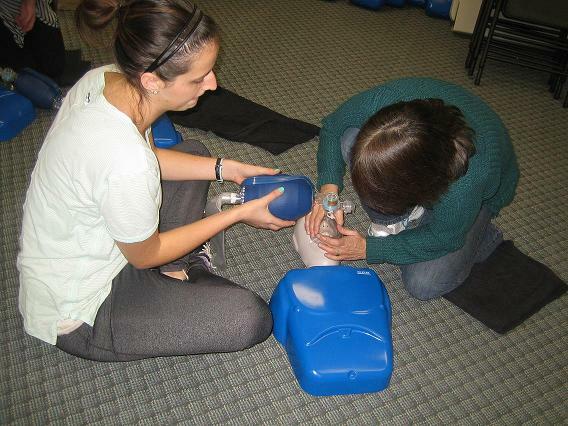 To learn more about providing effective help enrol in St Mark James CPR and AED training in Saskatoon, Saskatchewan.